So, I didn't recall anything about this because...I'd never seen it! I'd seen Whispers of the Heart, the film from which this one draws a few of its central characters, and then only on TV and half-remembered. 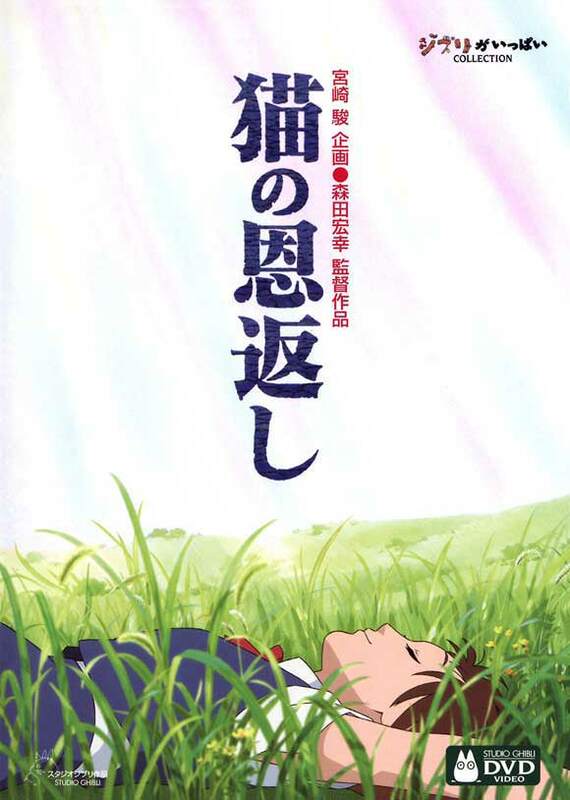 Too bad for me, since The Cat Returns is a lovely, funny fantasia reminiscent of Labyrinth and the second theatrical Urusei Yatsura feature, Beautiful Dreamer. The story concerns the trouble shy young Haru gets into when she rescues a cat from being run down by a truck one day after school...only to be thanked by the talking cat and promised 'infinite happiness' for her good deed. From there spins a adventuresome fable about growing up, accepting yourself, and how a good deed's greatest reward is in enjoying the happiness of the recipient. This one's a treasure, and there's one more dubbed showing of it at Fathom Events on the 25th, so you can fall in love with the Baron, yourself! Next month, a pig's gotta fly! The film depicts the adventures of the bounty hunter known as 'the Red Pig', a veteran of the Great War afflicted by a mysterious curse that has transformed him into a pigman. Fighting pirates for profit over the Adriatic Sea, the regrets and mistakes of his past and the influence of the rising Fascist government in his home country of Italy threaten his future as he finds himself besieged on all sides by enemies, while friends old and new help him keep his monoplane in fighting trim for what may be his last duel. 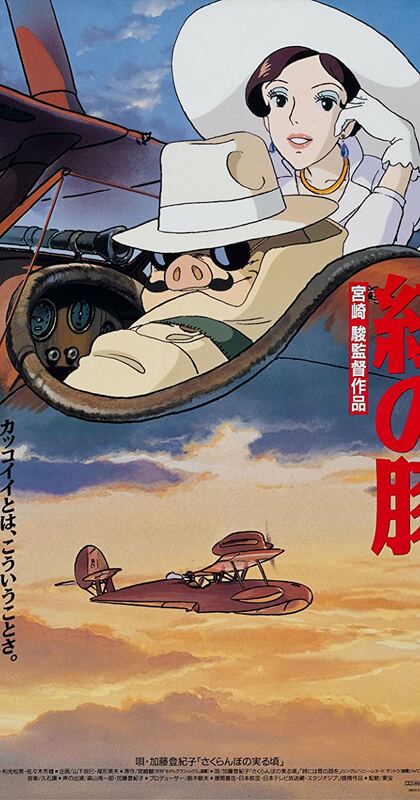 Winsome, cool, and packed with scenes of Mediterranean beauty and white-knuckle aero-battles, Porco Rosso probably isn't for everyone...but it's for me, and I love it dearly. They used their balls as weapons in a brave kamikaze attack. Pom Poko is my favorite Isao Takahata project. I've only seen it once, late late at night on a cable channel in the early aughties, and was FLABBERGASTED by A). how beautiful it was, B). how bizarre it was and C). how emotionally complex and sincere it was. It was what inspired me to really look in to the oeuvre of Studio Ghibli beyond the big Miyazaki movies. 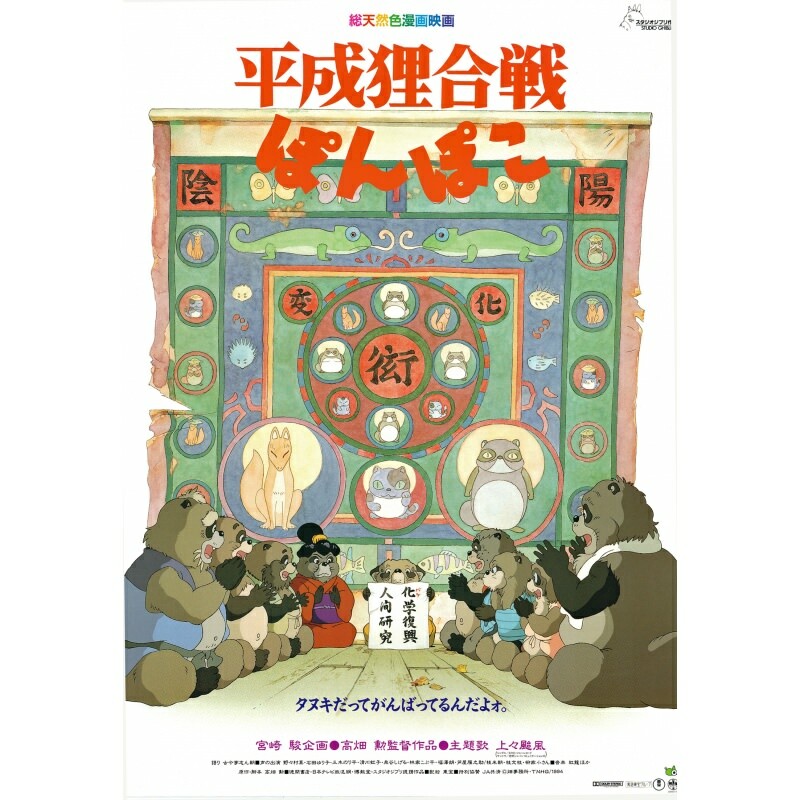 Pom Poko is about a community of tanuki dealing with the urbanization of Japan in the mid 20th Century. 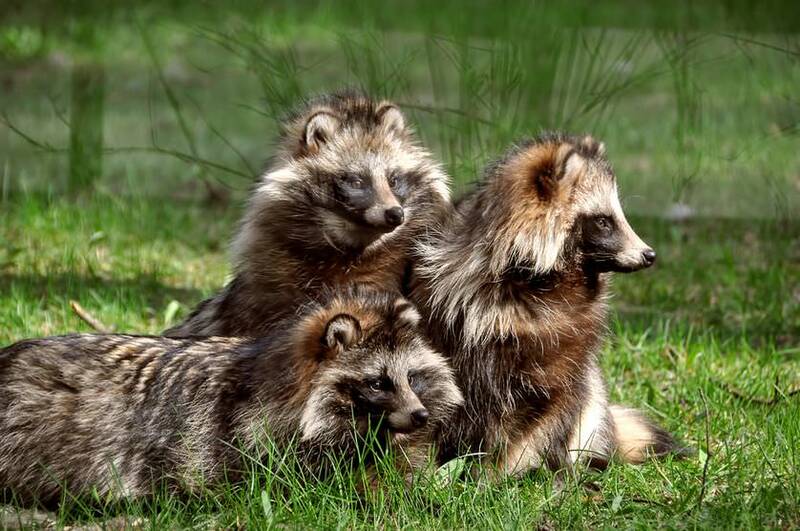 Anglicized as 'Raccoon Dogs', tanuki aren't raccoons and they're not QUITE dogs...they're actually a bit more like foxes, and have a folkloric reputation as shapeshifters and tricksters* (as well as, similar to western raccoons, being urban pests). The tanuki in Pom Poko find themselves in existential danger due to the rapid urbanization of the Tama Hills near Tokyo, and take up the old practices of shapeshifting and playing supernatural tricks on humans to try and save their territory from being consumed in the concrete explosion that radically changed the landscape of the former outskirts of Tokyo with unforgiving swiftness. The tanuki we follow are, in turns, silly, brave, desperate, psychotic, and mournful, and the movie switches art styles and tones rapidly, but never falteringly or inadequately. Scenes of bucolic silliness early in the movie give way to scenes of supernatural oddity and thanatotic processions later on...it's a truly bizarre movie. *Of note, tanuki males have prominent testicles, and they folklorically have ENORMOUS testes that they often pound like drums and carry over their shoulders like a pack. As such, the movie makes mention of them using their 'balls' as part of their shapeshifting (unless you're watching one of the dubs which may bowlderize it to 'pouches'). So, expect that! Princess Mononoke (Spirit/Monster Princess) was the second Ghibli movie I ever saw (after the Fox video release of My Neighbor Totoro), and PROBABLY the first Miyazaki movie I can really remember hearing about anywhere but Real Stuf catalogues or the anime discussion chatrooms I foodled my way through on AOL, Prodigy, and MSN when I was a teenager. This was the one that got the idea that there was a 'Japanese Walt Disney' going in the public discourse...partially due to the Weinstein Brothers' bizarre half-steps towards introducing East Asian cinema to the world (but also hamfistedly mangling it, or relegating it to tiny releases unless Quentin Tarantino could convince them to just put it out there, like Zhang Yimou's Hero). There was less-than-no-way I was going to get to see it in theaters, and I made the mistake of asking my dull friend who DID see it about it. He sniffed, "Yeah, it was pretty stupid. There's a part where the main dude uses his super-arm to decapitate a dude with a bowshot. That could never happen in reality." I should mention this is the guy who gave me his Dragon Ball Z RPG book and snickered about how it has an entire side-panel about how Krillin could DEFINITELY kill Superman. So, I didn't really see it 'til it came on...geez, was it the Disney Channel in late 2001? It was around the time I graduated high school, anyway. I'd been watching anime for nearly ten years at that point (longer if you count stuff like Star Blazers, Captain Harlock, and Robotech), from when we were calling it 'Japanimation' and luxuriating in stuff like Project A-Ko and buying VHS tapes of Bubblegum Crisis for $35 an episode, and I'd seen some pretty great stuff...but I'd never seen anything QUITE like Princess Mononoke. I didn't really think much of it at the time, but I recognized the incredible craftsmanship and attention to detail, the quaint and mysterious and exotic medieval Japanese setting (sometime around the 15th Century), and the evocative and foreign spiritual and supernatural elements. I kind of found the hero and heroine boring and uninteresting, though. 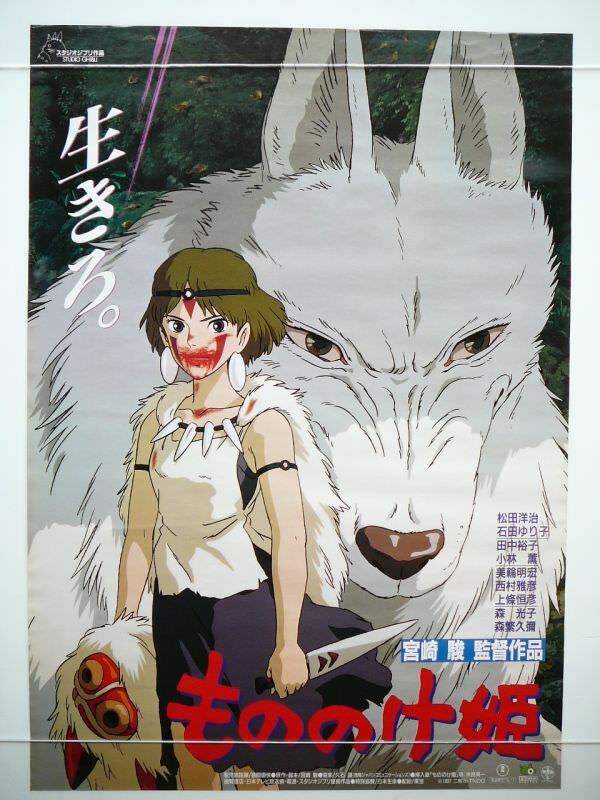 As time has gone on, though, I've repeatedly come back to Princess Mononoke and found more to like about it. It's a story about the conflict between the old ways of religion and mysticism versus modernity and self-actualization: a powerful woman makes her own way in the world, protecting and empowering the helpless and disadvantaged...but in doing so unbalances nature and offends the gods (though this, notably, due to her violent and rapacious overreach, as opposed to her progressive bonafides). The ripples of this action reach out from her stronghold and draw in opposition: a young man cursed by a byproduct of her sins, a group of government agents snooping around trying to keep these prodigies from effecting business-as-usual in the capital of Kyoto, and a mysterious wolf-girl bent on revenge. It's a dense tapestry, full of wonder at the secrets of the natural world, the industry of woman and man, and a powerful faith that the love of the young can overcome the politics, marvels, and weapons that shadow the world entire. I like other Ghibli films better, but I think Princess Mononoke is a pretty good fit for folks on this site, full of action, fantasy and romance. It's playing at Fathom event centers in the US starting with a dubbed showing on the 22nd (and another on the 25th) and a subtitled showing on the 23rd. Francois Truffaut, the French director and film critic, talked about the difficulty he saw in making a film about the Algerian War, and wars in general...a fear that the excitement of violence makes it impossible to make a film that is anything but pro-war: that merely by showing it, it's ennobled, when war is nothing of the sort. 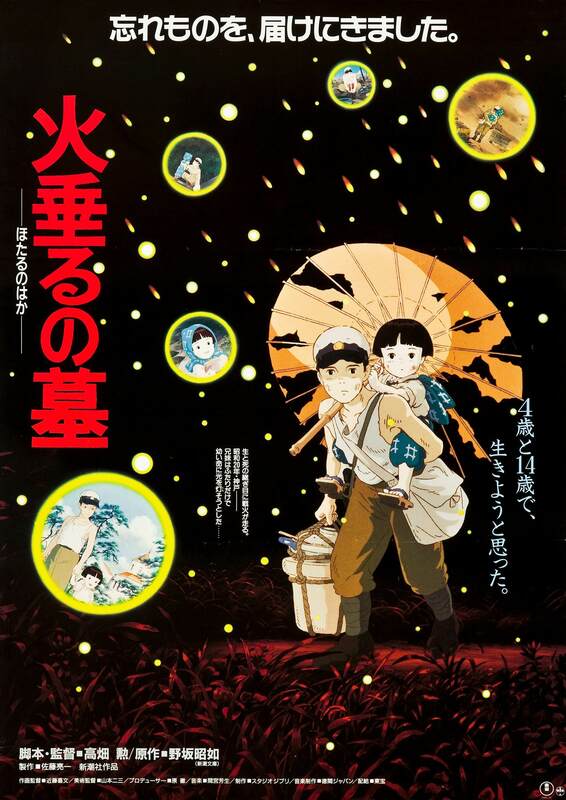 Grave of the Fireflies is often cited as an anti-war movie, though director Isao Takahata denies such intentions. It's the tale of two siblings, teenage Seita and four-year-old Setsuko, trying to survive as orphans in Japan during the last days of World War II. American air raids, tunnel-blind nationalism, hard-hearted townspeople, and Seita's protective-but-childish decisions threaten them as history turns inevitably towards Japan's surrender. 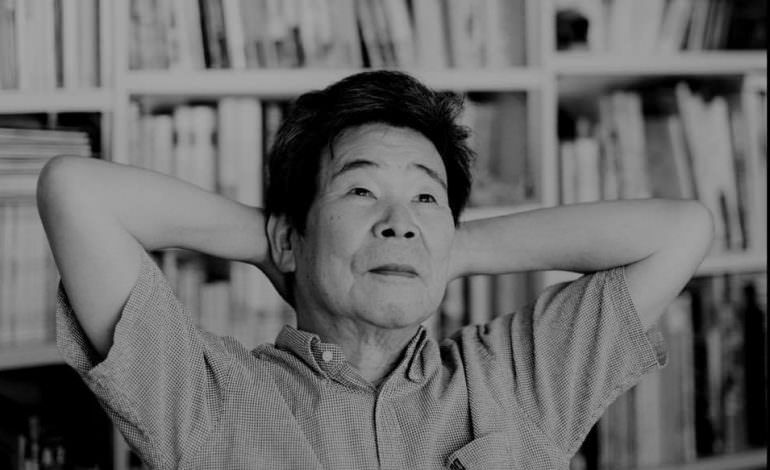 Takahata stated that his goal was to puncture the air of nobility people living in wartime are often imbued with by their descendants in peacetime, to connect modern viewers with the children of the war to tell a story of isolation from society and the harm it can bring. While I don't, necessarily, think he was prevaricating or eliding anything, I don't think it's possible to watch Grave of the Fireflies and not see a strong anti-war message in it...what violence there is is never exciting, only horrifying...and the end result of all the bombs and battles, advances and retreats depicted in all those other war movies is laid out here: destruction, privation, illness, death. I'd seen Grave of the Fireflies before, so I knew what was coming...still, I began weeping not even 3 minutes into the film and didn't really stop the entire time. It's a very honest movie...not merely about the horrors of the lifequakes that destroy citizens when their nations go to war, but the tragic consequences of irresponsibility, simple cruelty, and the liminal line between the successful and happy and the failed and dead. I don't know if I can really suggest Grave of the Fireflies to anyone...it's a devastating experience. But I feel compelled to mention it to everyone...it's beautiful and awful and brutal in a way that few other pieces of media manage to be. Next month...who leaves the seeds for you to find?